As hard as it seems to believe, the rugged Soviet cars were popular and even loved at one time and some of them stayed on the roads till a few years ago. 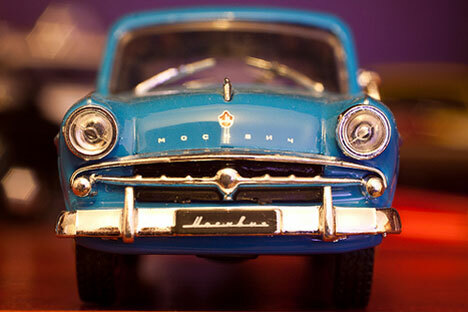 66 years ago, the first Moskvich was assembled, using the pre-World War 2 Opel Kadett as the model. This was a landmark in Soviet history since it was the first full production economy car ever made in the country. The car was given a name meaning Muscovite since it was produced at a factory on the outskirts of the Russian capital. It would be a great exaggeration to say that the Moskvich meant as much to the citizens of the Communist bloc, the way Americans revere the old Chevrolet models, but these sturdy old cars were more about convenience than aesthetics. I happened to take a ride on a Moskvich for the first time in 2003; a year after the company making the cars went bankrupt. My Moskvich, unlike the Kadett clone, was not from the outskirts of Moscow, but was manufactured in the far away fellow socialist-paradise of Bulgaria. For a history-buff it was a pleasure to travel in a living relic from the days of the Iron Curtain. But this was Sakhalin Island, at the very beginning of the oil and gas boom. Those were the days when everyone with a bloated salary from Exxon, Shell and Rosneft were junking their ladas and older Soviet cars for “attractive” cars and jeeps from across the La Perouse Strait in Japan. There was a puzzled and bewildered look I used to get from people in mini-vans and fancier cars. “What on earth is a foreigner doing in that piece of junk?” I most certainly was not ashamed of being seeing in a durable and old car, which was beautiful in its own way. My 1968 Moskvich-412 went to most places that the SUVs went. This car was out on the roads when there were layers of ice. It penetrated the off-road stretch of the south-eastern coast of the island and took a happy group of campers to the natural wonder known as Cape Velican. The Moskvich was also a great decoy in times of need. An over-zealous governor of Sakhalin (who died in a helicopter crash) closed off many parts of the island raising the pogranichnaya zona (border zone) bogeyman. It seemed absurd that some beaches were closed off to foreigners without a border pass under the pretext that they could pass on valuable information to the Japanese! The only thing my friends and I needed was a Moskvich to cross over into the closed areas. The best of cars would be stopped by the police at the exit points of Yuzhno-Sakhalinsk to ensure that no foreigners strayed into the “secret areas” but no one ever bothered to even look at a Moskvich. In the Russian Far East, a dark-skinned person can be spotted from miles away but the wonderful Bulgaria-made car was my cover. As the days, months and years went by, the Sakhalin authorities understood the futility of restricted zones on an island where there were more than 20,000 foreigners. The restrictions were relaxed but the old Moskvich was running out of time and we were running out of spare parts. Frequent breakdowns turned the once sturdy car into a rickety has-been and like the horse in Lev Tolstoy’s “Kholstomer,” this piece of living history was voluntarily sent to its grave (the scrap-yard in this case). The Moskvich may have lacked the flair and finesse of other cars but no one can question its utility and reliability during times of need for Soviet citizens. I hope to see a Moskvich in a museum one day. Maybe, one of the iconic black and yellow Premier Padmini taxis on the streets of Mumbai will join a Moskvich in an automobile museum exhibiting good and under-appreciated cars of yesteryear.